Reeb Willms has been singing and playing old time rhythm guitar for 16 years and is widely regarded as one of the most solid rhythm guitar players in old time music. She comes from the humble beginnings of farm life in Waterville, Washington and a family of wheat farmers where she grew up listening to her father and uncles, the Willms Brothers, singing country songs. 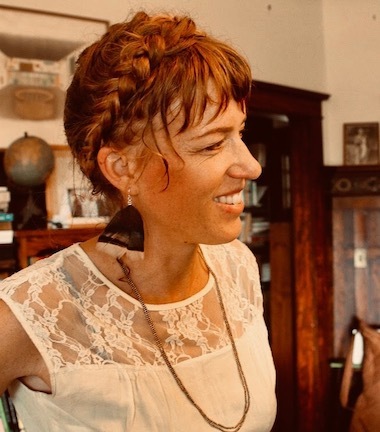 Reeb is a respected and well-loved singer and guitar player and has been touring internationally with the Foghorn Stringband and the Caleb Klauder Country Band since 2011. She can also be found touring as a duo with Caleb Klauder. Her love for old time fiddle tunes and old country songs roots her in a classic American musical style.